Fees associated with Brazilian PCT national phase entry as well as other patent fees are available in the fee calculator. The time limit for entering the PCT national phase in Brazil is 30 months from the date of priority. This deadline may be restored by the term of 60 days if legitimate reasons are provided. The minimum requirements for obtaining the filing date are the information regarding applicant(s) and inventor(s) and patent claims in Portuguese. 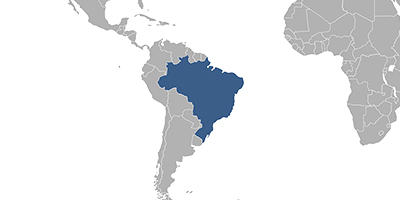 The official language of patent registration in Brazil is Portuguese. The PCT application may be filed in any other foreign language; however, the term for submission of the Portuguese translation is 60 days from the national phase entry. The signed original of the POA form may be submitted to the Brazil Patent Office within 60 days from the date of entering the PCT national phase. If the applicant is not the author of the invention, it is advisable to file an Inventor's Authorization. It may be submitted after entering the PCT national phase in Brazil, official legalisation or notarization is not required. The substantive examination should be requested within 36 months from the international filing date. Novelty grace period for Brazilian applications constitutes 12 months preceding the filing date or the priority date, if priority is claimed. To perform the PCT national stage entry in Brazil, foreigners should appoint an agent, a registered Brazilian patent attorney. 2. PCT applications may also be protected as Utility Models in Brazil, which are subject to formal and substantive examinations. Processes, methods, systems or chemistry compositions are not protectable. Maximum protection period of a utility model in Brazil is 15 years from the date of filing. Only a single independent claim is permitted for Utility Models in Brazil, and there is no limit to the number of dependent claims.